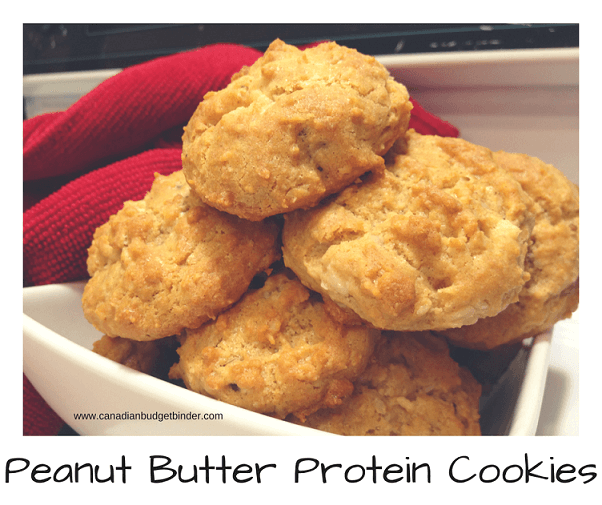 TIME IS ON YOUR SIDE WHEN BAKING THESE PEANUT BUTTER PROTEIN COOKIES ESPECIALLY WHEN YOUR SWEET TOOTH IS WAITING. Do you know that cookie that you just can’t stop eating because it keeps calling your name? 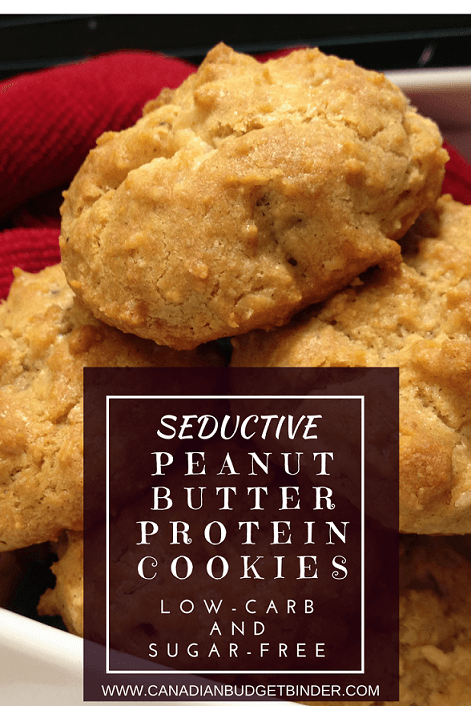 Now you know why I called these Seductive Peanut Butter Protein Cookies. Not only are they super easy and quick to make but they are sugar-free and low-carb friendly. I’m always working with Mrs. CBB in the kitchen to create new low-carb treats that we can both enjoy. I’m a hard-core sugar boy who likes something sweet just about every day. Once in a while I don’t mind dipping into the wife’s stash of desserts especially if I don’t have anything prepared for myself. I know we’ve shared lots of low-carb dishes on CBB lately but don’t get scared off from enjoying these recipes in your life. They are delicious, full of flavour and won’t make you feel like you’ve just eaten an entire pizza to yourself once you’re done a meal. You know that heavy tummy feeling I’m talking about. 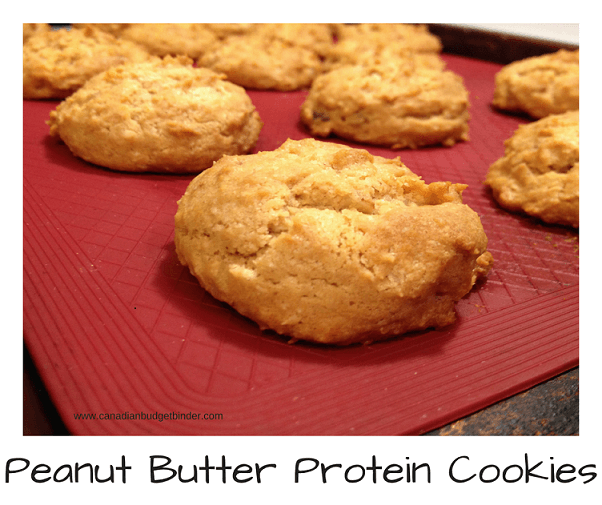 Protein Peanut Butter Cookies>> Don’t knock em’ until you try them. Most often we don’t even tell our friends what they are eating is low-carb and they have no clue…shh! A few key ingredients you will need for this recipe are sugar-free peanut butter, butter, cream cheese, sugar-free coconut, toasted walnuts, plain whey protein powder and almond flour. All of these above products can be found in the health food/organic section at the grocery store or at the Bulk Barn. Kraft makes a wonderful ‘just peanuts’ peanut butter that works great with this recipe along with all organic sugar-free brands. If you watch the grocery sales you can pick up a jar for $2.99 although sugar-free organic peanut butter is reasonably priced for what you get. Just Peanuts. No Fillers. Whey protein is a wonderful substitute for flour in a low carb recipe as is almond flour which we always have on hand as they are key ingredients in many low carb desserts. Although almond flour and whey protein can be pricey a little goes a long way. Costco sells a 2kg bag of almond flour for $20 and you can find unflavoured whey protein there as well. For this recipe we used President’s Choice unflavoured whey protein that we purchased for $20 on sale at Shoppers Drug Mart. Since these peanut butter protein cookies are sugar-free we used ground Splenda as our sweetener of choice but you can also use just about any other sweetener. Natural sweeteners are wonderful but will cost a bit more-Stevia, Erythritol, Swerve, Xylitol or Truvia. Related: What are hidden sugars? If you use any granulated sugar substitute in a recipe it’s critical that you use a coffee grinder to powder the sugar. What happens is you will get a gritty cookie because the sweeteners don’t break down as well as full-on granulated sugar does. Alternatively if you don’t care for sweeteners you can use granulated sugar to sweeten but remember they won’t be sugar-free any longer. 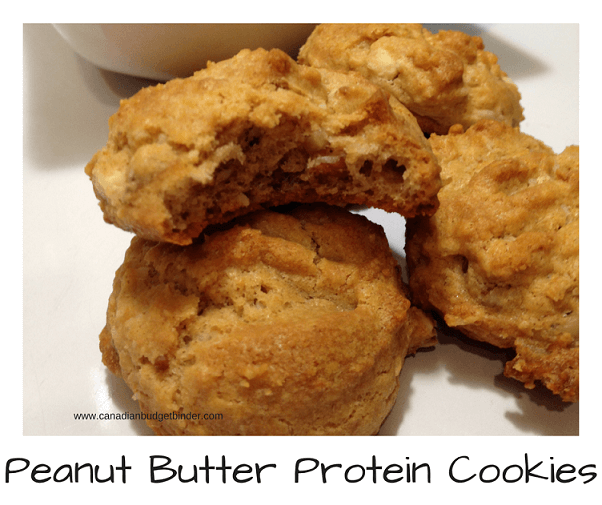 Seductive peanut butter protein cookies are the perfect snack when you just want to relax and enjoy something sweet but without all the carbs and sugar. In a mixing bowl add all of the ingredients then mix until it forms a dough which won't take long at all. You don't need to use a stand mixer for this recipe as a wooden spoon works just as well. Using a mini scoop roll a ball and set on the cookie sheet about 1 inch apart and then bake for 7 minutes. Do not over bake. It's better to under bake a cookie then it is to burn one. You can freeze them as well for up to a month. These are some of the best protein cookies I’ve ever tasted and I’ve eaten plenty in my time but made with sugar. We freeze the peanut butter protein cookies and take one or two out as needed otherwise we’ll eat them all. The power of seduction and no will-power, that’s us. It’s so hard to stop at just one cookie. Discussion Question: What is your favourite sugar-free, low-carb cookie?